Now that we were experts on the language and customs, we set out to explore the important sights of Hanoi. Unfortunately, the gothic St. Joseph's Cathedral, shown here from behind the trees on the grounds of the elementary school next door, was closed when we went by. 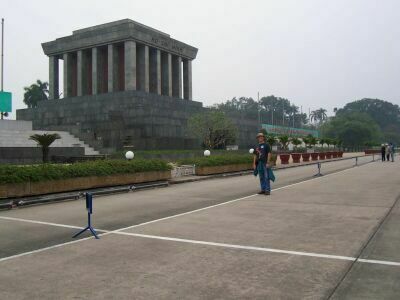 Ho Chi Minh's mausoleum is quite the tourist draw. It's on a big, pedestrian-and-bicycles-only street, an oasis of calm in the mad traffic that is Hanoi. For American soldiers in the Vietnam War, Ho Chi Minh was the enemy. For Vietnamese people today, he was a great hero and liberator. For Nadia and me, having a chance to see things from someone else's perspective is one of the real educational benefits of travel. 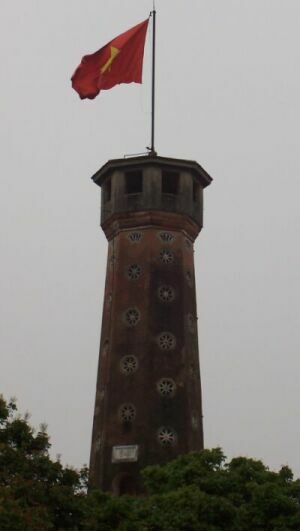 The Ho Chi Minh Mausoleum was located near the One Pillar Pagoda, built by Emperor Ly Thai Tong about a thousand years ago. 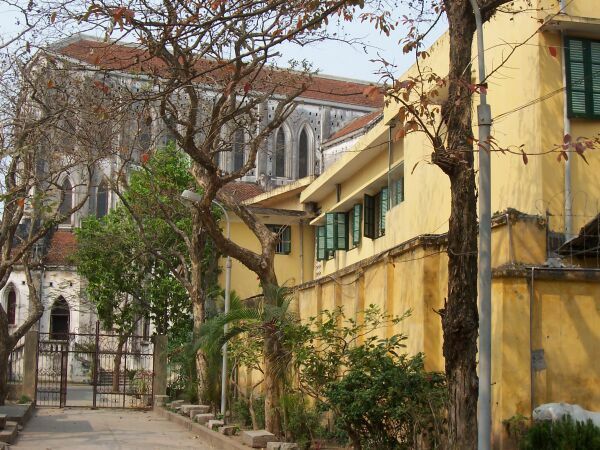 The French tore it down on their way out of Hanoi in the 1950's; the Vietnamese rebuilt it after the last foreign troops had left. 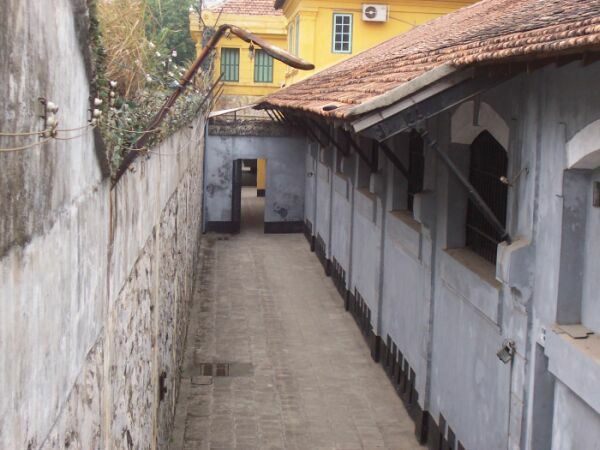 We went to see the remains of the "Hanoi Hilton" -- the ironic nickname American POWs had for the Hoa Lo Prison where they were kept during the Vietnam war. Most of the original structure has been torn down to make room for a new skyscraper; only the front part has been preserved as a museum. This was the "Central House," the front door to the prison. 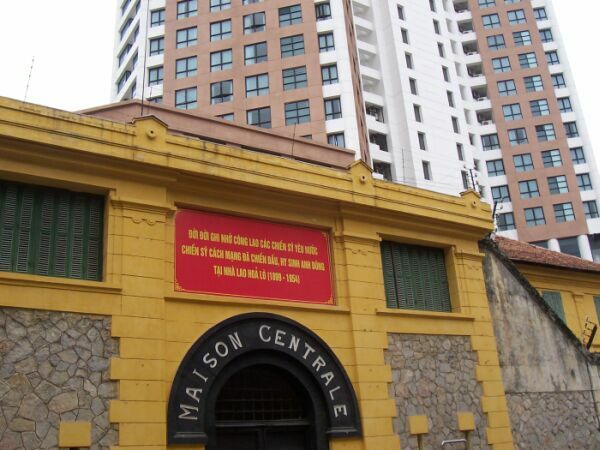 It was built by the French in 1896 and was mostly used to imprison Vietnamese who fought against the French occupiers, long before the American War in Vietnam. 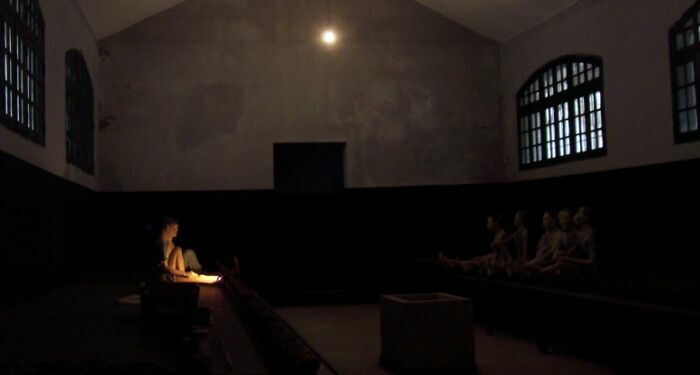 This exhibit showed how the prisoners were kept in chains. There goes Nadia again, making fun of a statue. "Lenin!" she exclaimed, when she saw this one. "These guys are a bunch of communists!" I guess. 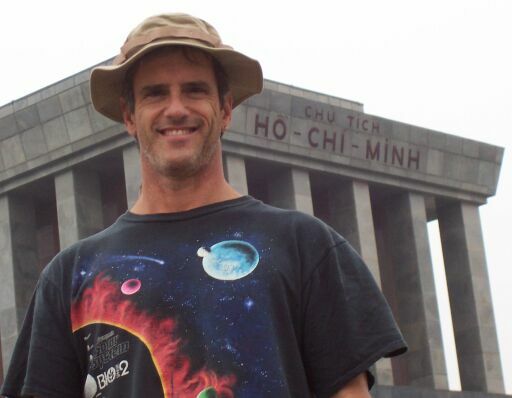 We didn't become experts on the politics of Vietnam in a 2 week visit, but we did notice that everybody was working hard and trying to make money, people in general were friendly and spoke freely to us, and nowhere did we encounter anything like a police state. For a communist state, Vietnam seemed to carry a distinct whiff of capitalism.